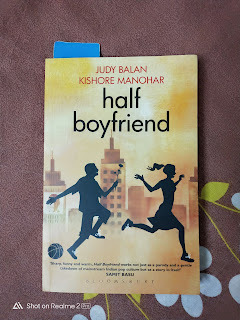 The Verdict:'Half Boyfriend' is a passable parody.It has it's moments but is not as funny as Judy Balan's '2 Fates'. Synopsis:Blogger -turned- author Judy Balan rose to fame with her debut work- 2 Fates: the story of my divorce, which was a parody of Chetan Bhagat's '2 States:the story of my marriage'. 2 Fates was pretty funny and since the source material (2 States) was spoof-worthy, it worked big time! 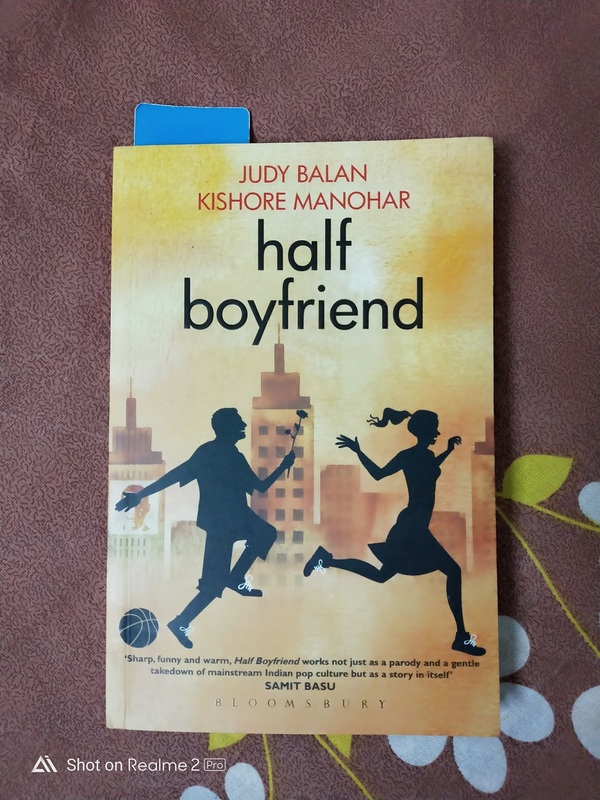 Half Boyfriend is Balan's attempt at parodying another work of Chetan Bhagat (Half Girlfriend).So we have our non-english speaking prince (Manav Jha) stalking the cosmopolitan Rhea Somany in the posh Delhi College.The Book tries to parody almost all the significant scenes from the original source material and tries to weave a story on it's own (more or less the same one ) in the process. The Good: it starts off promisingly, the first act is quite funny and interesting, liked the idea of putting 'short version' of each chapter at the beginning,the overall mood of the book. The Bad: After a point, the book gets monotonous, the writing gets dull ,the whole 'obama/London episode' is hardly funny, the jokes fall flat and it seems that the authors were just trying to fill in pages with uninspiring and random stuff.